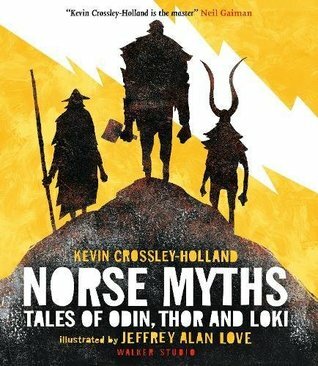 An extraordinary and enthralling illustrated anthology of Norse Myths from a Carnegie-Medal winning author.The gods of the Vikings come to life as never before in this extraordinary illustrated anthology by Carnegie Medal-winning author Kevin Crossley-Holland and artist Jeffrey Alan Love. These dramatic, enthralling and atmospheric tales are based on the Scandinavian myth cycle – one of the greatest and most culturally significant stories in the world – and tell of Odin with his one eye, Thor with his mighty hammer and Loki, the red-haired, shape-shifting trickster. In this stunning collection of myths, the strange world of ancient magic, giants, dwarfs and monsters is unforgettably imagined.